Along with losing weight and quitting smoking, saving more money is one of the top New Year’s resolutions practically everyone can agree is worth aiming for. After all, who knows what the upcoming year has in store for you? A new child? A new house? Retirement? These are all good reasons, but in truth, having more money in your savings accounts is a wise idea regardless of your plans because it gives you one of life’s most prized possessions – peace of mind. If your financial resolution for the new year is to beef up your savings account, then here are a few tips to help get you started. Setting goals is one of the best ways of reaching them. Therefore, set a savings goal for yourself for the upcoming year. The amount you set is up to you. If you’re saving for a down payment on a new home, then write that number down and figure out how much you’ll have to save weekly or monthly in order to help you reach it. Keep reminders of your goal on your desktop so you’ll never lose sight of it. The best way to save more money is to make more money, but few of us have the time to take on second jobs. So, cutting your expenses is the next best thing. Look over all of your expenses and separate them into two categories – essential expenses and non-essential expenses. Essential expenses include your utilities, rent or mortgage, groceries, debt payments, etc. Non-essential expenses include things like gym memberships, magazine subscriptions, take-out meals, premium packages on your cable plan, etc. You may even be able to shop around to find less expensive cable and utility providers if your area has them. If you really don’t like the idea of sacrificing the life you’ve become accustomed to, then there’s no way around it – you’ll have to find a second way to make money. Of course, your second job can’t infringe on your primary job, so it will have to be something flexible and this can make your job search a challenge. A few ideas include mowing lawns and shoveling snow, working freelance, deliver pizzas or newspapers. It used to be that if you didn’t have the cash in your pocket, you couldn’t buy whatever it was you wanted to buy. But, since the invention of the debit card, that’s no longer a problem. The debit card is arguably the arch nemesis of your New Year’s savings resolution. The reason is because of its convenience. If you see a bag of chips you want to buy, all you have to do is swipe the card and it’s yours. But, all of these little purchases add up and they’ll deplete your bank account in no time. So, figure out how much cash you need to get through the week and leave your debit card at home. Try it for a month to see how much you save. When you sit down to do your bills, add your name to the payees. Even if it’s $30 a month, treat yourself like one of your regular monthly bills and pay that amount to your savings account. Gradually aim for 6% of your paycheck being deposited into your savings account. Sit down and write up a spending budget for yourself. Gather all of your expense and income information and determine how much money you have left after all of your debt obligations are paid for the month. Look for ways to save money and take the necessary steps to reduce your housing, debt, and living expenses so you can add more to your savings account. Every once in a while, you might enjoy an unexpected windfall of money, be it from a moderate lottery ticket win, a bonus check from your boss, a birthday check from mom and dad, etc. And, while that money may have you wondering what you’re going to spend it on, you should instead follow the rule of thirds. The rule of thirds is that one-third of the money gets put towards your old debt, one-third gets put into the savings account, and the last third is yours to do with what you want. By following this simple rule, your debt will get paid down sooner, your savings will increase, and you’ll have some money left over for yourself so you don’t feel deprived. 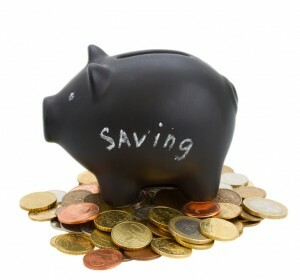 When you have a healthy savings account, your life will be less worrisome and you’ll just feel better about yourself. Isn’t that a goal that’s worth aiming for? Making saving more money your New Year’s resolution will help get your year off on the right foot so by this time next year, you’ll be in a better financial position and have the realization that New Year’s resolutions are attainable.